« JUICE SQUEEZERS: Collect The Whole Set! 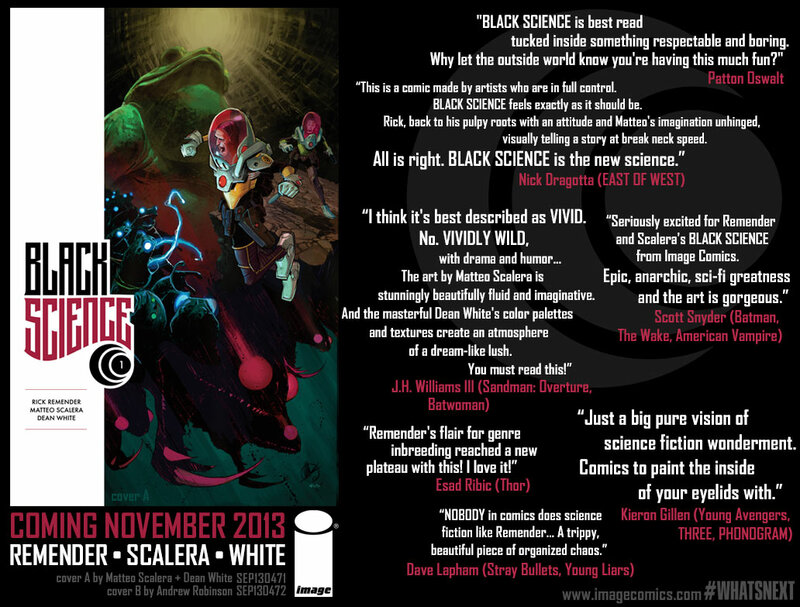 sci-fi epic—only from Image Comics! 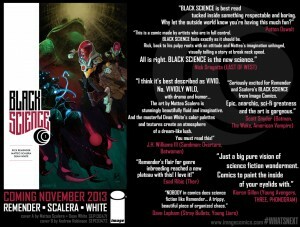 The latest hot release in a year of sell-outs, massive critical acclaim, and record-breaking sales from new debuts from Image Comics, BLACK SCIENCE #1 is sure to be in high demand. To celebrate the release of BLACK SCIENCE #1, Image Comics will be offering a blank sketch cover of BLACK SCIENCE #1 to retailers to pre-order with Diamond Code SEP138247. This will be the last blank sketch cover produced by Image Comics in 2013. This entry was posted in Columns and tagged american vampire, Batman, BLACK SCIENCE, IMAGE COMICS, matteo scalera, patton oswalt, Rick Remender, SEVERED, The Wake. Bookmark the permalink. Follow any comments here with the RSS feed for this post. Post a comment or leave a trackback: Trackback URL.